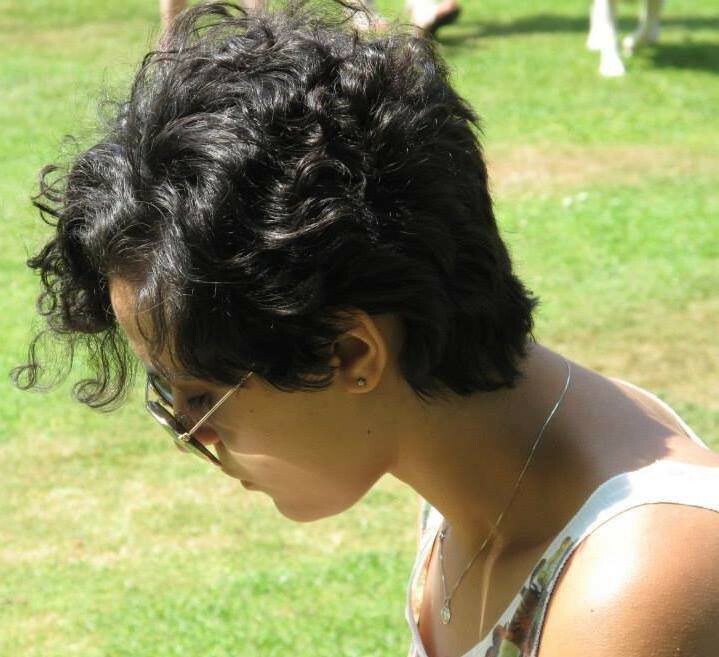 In this blog post I want to introduce my readers and followers to a friend of mine who has been a huge inspiration to me since the day I met her. A teacher, a writer, a blogger and a publisher, this girl has managed to achieve what I have so far only dreamed of, and more besides. And to top it all off, she makes it all look effortless. Esme Carpenter – publisher, writer, teacher. With amazing hair. I first met Esme at a networking and publishing event run by the Society of Young Publishers (North and Midlands) at the Adelphi club in Leeds a couple of years ago. I was there primarily to network and Esme was there to talk about her book Against the Elements and her publishing company, IFWG Publishing. Through this event, I gained a good friend and a solid contact in the publishing industry, and she gained a keen follower and a new reader. So the event, I would say, was a complete success! First things first: Who, Why, What, Where, When? I’m Esme Carpenter and I come from York, in Yorkshire, England. I lived in York all my life and that’s where I started writing, at the age of 12. I wrote all through my adolescence and then decided to go to the University of East Anglia to do my BA in English Literature and Creative Writing. It was hugely transformational for me and my writing. After that, I returned to York to do my PGCE and now I’m an English Teacher just outside of Hull. I work with writing every day, which is a huge bonus! On the side, I work for IFWG Publishing in Customer Relations, reading submissions and judging contests. When I have any extra time (!) I write. Tell us a little bit about your writing. My debut novel Against the Elements was published a couple of years ago and you can buy it through Amazon and Barnes and Noble in paperback or e-book form. It’s about to be reprinted in UK English, roughly around September time. I also have a couple of short stories published, one in SQ Mag and one in their anthology, Star Quake, called Azurewrath. There’s also my graphic novel, Son of Songs, coming soon online. Are you working on writing anything at the moment? Right now I’m working on a set of two books – I’m always working on something – about magic flowers and masked riders. It’s an older teen book and I’m really into it right now. It struggles with ideas about theology, mental illness, death and family. You are a very young professional who has already achieved so much. As well as being a teacher and pursuing your individual projects, you are also a writer and a publisher. How did IFWG publishing come about? What was your motivation for co-founding the company? I met the other founders of IFWG online as part of an online writing and reading group. We were having a discussion about getting published and we were all finding it really difficult. So many places won’t take unsolicited stories or manuscripts, and agents are like gold dust. We were frustrated with the publishing system. One of the guys, Randy Knowlton, said he was going to do something about it, and within a couple of weeks he had bought the company name, hired a small press and told us we were all shareholders. It was insane! We quickly gained a reputation for being a press about writers, run by writers. Now, we have two different presses on two sides of the globe, a huge catalogue of books and authors, a magazine project and a yearly contest. Although Randy is no longer part of the team, everything he set up is still going, thanks to Gerry Huntman, and getting stronger and stronger. What sort of literature does IFWG publishing focus on? We focus on ‘spec-fic’ – so horror, fantasy, science-fiction. We do not do vampires. At all. As a small press it’s difficult to find original literature sometimes, but a lot of our submissions are amazing. What do you, as a company, find most challenging and rewarding about running the business? The hardest bit is the fact that we have so few staff. Gerry, Warren and I read all the submissions. Every single one. In a very small window of time. And we get a LOT of submissions when we open. We have to close for the majority of the year so we can get everything done. But that’s also the most rewarding part, that we get to read fresh, emerging, exciting fiction and see it getting the recognition it deserves. You are both a writer and a publisher. Does it help you that you are part of both sides of the publishing process? Or does it make anything more difficult? I think it’s very helpful. A lot of publishers see writers as a commodity, I think, rather than people with emotions and dedication. Because we’re writers, we know what it means to them to make sure their book is as true to them as possible, that they get a choice in the front cover, that they see all the proofs before it goes out. All writing is subjective, so we sometimes disagree on submissions, but it’s great to be a writer helping other writers. I think it means our authors trust us, too. We’re real people, who they can get in touch with at any time of the day. What are your own personal goals, and those of the company? My own personal goals are varied and stupidly unrealistic! In a perfect world, I would write for a living. That would mean landing a deal with a big publisher. Another dream would be to write graphic novels. At the moment, I’m very happy teaching. I would love to write and teach and have them supplement each other. As far as the company goes, I have no idea what’s coming next. We’ve got some exciting things in the pipeline and we’re going from strength to strength. It would be great to get a regular pay cheque from the business (at the moment, we’re working as volunteers rather than paid staff) but the money doesn’t matter. I enjoy the job and I love seeing it grow. How do you balance your time between being a writer, a teacher, a publisher, a blogger, etc.? What are your other interests and hobbies outside of all of this? My routine has to be super strict. I am up at 6.30am and at school until 3.30pm. I get home around 4.30pm. I sit on the sofa, get a cup of coffee, and I try to do something productive in the evening – whether it’s reading submissions or writing or plotting. I do all of my work as a teacher at school if I can help it, or in the holidays. Other hobbies include (obviously) reading, which I do on trains. I love video gaming, too – great for teaching you how to plot and make exciting action. I love the cinema. Pretty much every other hobby I have feeds into my writing! What is the most exciting project you’ve worked on, and are you particularly excited about any upcoming projects? Every year the most exciting part of my job is the SQ Contest, which I judge. Reading all the stories, giving them points, seeing my marks join up with others, and ultimately seeing a winner – it’s amazing. We have an anthology of ghost stories from a brilliant, popular writer coming up who I can say very little about except that it’s a name people will recognise! 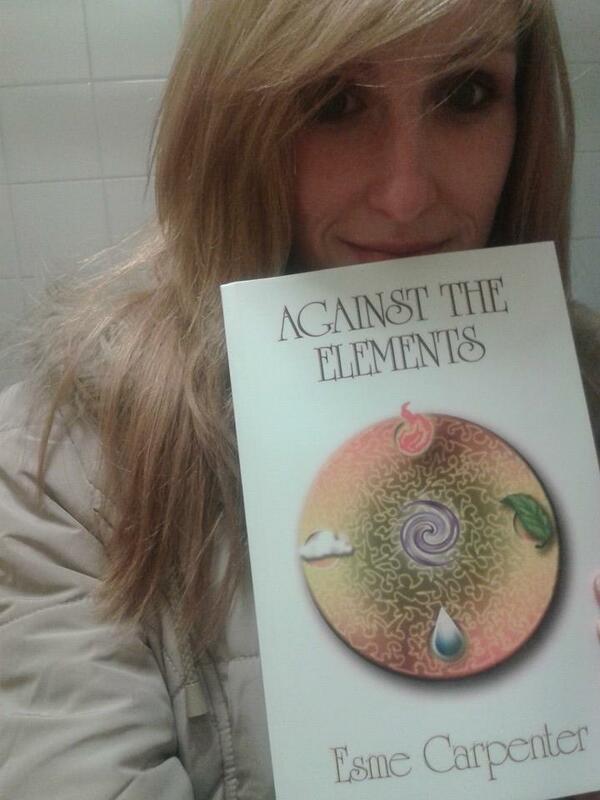 And, of course, the Against the Elements reprint. It’s getting a new front cover, which is hugely exciting! IFWG Publishing’s website is at www.ifwgpublishing.com and you can join the Against the Elements Facebook page. You can learn more about SQ Mag at www.sqmag.com and Son of Songs at www.sonofsongs.com.